Dr. McCoy from the Star Trek reboot partners with Gloria from Modern Family for 2018’s direct-to-video thriller Bent. After the death of his partner, narcotics detective Danny Gallagher (Karl Urban) goes to prison for a crime he didn’t commit. When he emerges from incarceration, Danny pursues those who framed him. 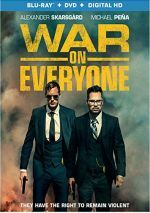 He joins forces with Rebecca (Sofia Vergara), a slippery government agent who may or may not be on his side – and Danny also deals with an unsolved murder that might connect to his situation. Some actors enjoy the charisma to play leads, and some fare better in supporting roles. The more I see of Urban, the more I think he lands in the latter category, and Bent adds weight to this belief. When he worked in efforts like the aforementioned Star Trek movies, Thor: Ragnarok or the Lord of the Rings trilogy, Urban did well for himself. When placed in the lead ala this film or something like 2017’s Hangman, however, Urban seems a bit lost and without the same charm and personality he shows in the supporting roles. This doesn’t mean that I think Urban flops as Gallagher, but he fails to bring much spark to the part. This seems like a role best suited to someone like Bruce Willis circa the 1990s, and Urban can’t pull off that attitude. As for the rest of the cast, Vergara seems spectacularly miscast as the slippery federal agent. While I appreciate her attempt to expand beyond the broad comedy for which she earned fame, Vergara just doesn’t fit this part at all. Even with a stronger cast, though, Bent would lack much impact, mainly became it feels aimless. While it aspires to deliver a taut neo-noir, the movie instead seems somewhat scattered and purposeless. Some of this comes from the plot, which bites off more than it can chew for its 96 minutes. Bent delves into a variety of topics related to the main narrative, and it fails to explore any of these in a particularly satisfying manner. The film also leaves the characters thin and barely explored. Bent teases at various threads and concepts but it doesn’t dig into them well, so the overall arc remains flat and uninspired. Honestly, I can’t call Bent a bad movie, especially not compared to most of its direct-to-video siblings. While generic and scattered, the film manifests enough drama and intrigue to keep us moderately engaged, and it seems like a fairly professional effort without any major missteps. I believe all that qualifies as faint praise, though. Bent doesn’t flop but it lacks the substance to make it more than a mild diversion. Bent appears in an aspect ratio of approximately 2.40:1 on this Blu-ray Disc. This was an appealing presentation. I saw no evidence of jagged edges or moiré effects, and the image lacked edge haloes. Print flaws also failed to appear. Colors tended toward a teal bent much of the time, and the Blu-ray depicted the hues well. The palette didn’t sizzle, but the tones seemed well-rendered within the design choices. Blacks appeared dark and tight, while low-light shots demonstrated nice clarity and delineation. I felt pleased with this high-quality presentation. In addition, the film’s DTS-HD MA 5.1 soundtrack worked fine, as the mix brought the variety of natural settings to life. Various environmental bits filled the spectrum nicely, and various action beats used the five speakers in a dynamic way. A few extras appear, and we open with Behind the Scenes of Bent. It goes for 10 minutes, 35 seconds and includes comments from writer/director Bobby Moresco and actors Karl Urban, Sofia Vergara and Andy Garcia. “Scenes” covers the source novel and its adaptation, story/characters, cast and performances, and Moresco’s impact on the shoot. This turns into a pretty generic puff piece. Under Cast and Crew Interviews, we five reels. These feature Moresco (5:50), Garcia (6:01), Vergara (3:21), Urban (4:44) and director of photography Gianfilippo Corticelli (4:26). Across these, we hear about the same subjects from “Scenes” along with sets/locations and cinematography. The “Interviews” come from the same sessions used in “Scenes” – and often provide the same soundbites. This means you can skip “Scenes” and go with the “Interviews” instead. The comments don’t provide a ton of substance, but they bring out a decent array of thoughts about the film. The disc opens with ads for Acts of Violence, The Show, First Kill, Unlocked and Cops and Robbers. We also get a trailer for Bent. 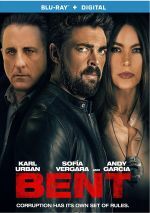 A fairly perfunctory crime thriller, Bent doesn’t flop, but it fails to become anything memorable. While professional and watchable, it seems lackluster for the most part. The Blu-ray offers pretty good picture and audio with minor supplements. This feels like lazy day cable fare.